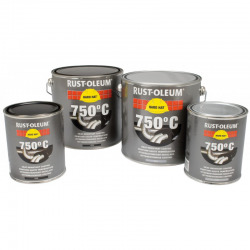 Our selection of metal paints optimised for Very High Temperature (VHT) areas offer protection extending as high as 1000°C and guard against corrosion under insulation (CUI). There are a variety of colourful finishes including aluminium, black and brown. 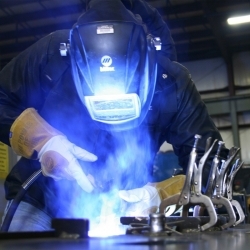 Whether you need a coating for surfaces that can generate high temperatures over quick or sustained periods, or a workplace paint that can withstand high speed welding, our selection should have you and your construction covered. If you require any assistance in finding the best product for your requirements, contact a member of Rawlins Paints' Technical Support Team on 0113 245 5450, where we can provide recommendations for applications and purposes within offshore, industrial, and commercial environments. 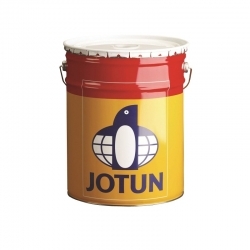 Jotun Solvalitt is designed as a white or black heat resistant coating suitable for insulated and non insulated surfaces. It is a one component physically drying silicone acrylic coating that is heat resistant up to 600°C. 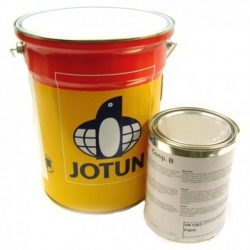 It can be used as a primer, mid coat or finish coat in atmospheric environments. 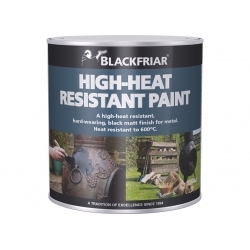 With improved heat resistance, Blackfriar High-Heat Resistant Paint (black) withstands temperatures of up to 600ºC, making it perfect for BBQs, stoves, grates, chimneys and other high-heat surfaces. 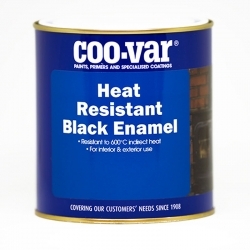 One of the UKs leading heat resistant metal paints, buy it now at Rawlins Paints. 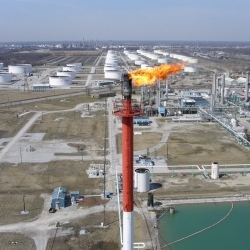 International Intertherm 50 is a single component, high temperature coating, suitable for temperatures up to 540°C (1004°F) for the protection of steel from corrosion on areas including flare stacks, chimneys, exhausts, vents and pipework, etc. International Intertherm 181 is a two component, high temperature resistant topcoat based on inorganic silicate technology. 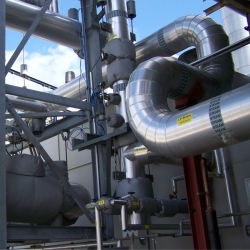 Specifically designed for application over inorganic zinc primers, which provides a single specification to be used for the protection of all pipework from corrosion at continuous operating temperatures up to 400°C (752°F). 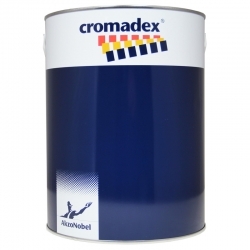 Cromadex 495 High Temperature Resistant (up to 550°C) Primer Finish is a black, high temperature resistant primer finish suitable for items reaching temperatures of up to 550°C. The product has a fast touch dry time helping to improve productivity. It has excellent covering power helping to reduce application costs.